Today’s big news is that the 2015 Tour de France will start off here in Utrecht. There’s been a lot of will they/won’t they going on for the past few weeks (months), but the official announcement came today. 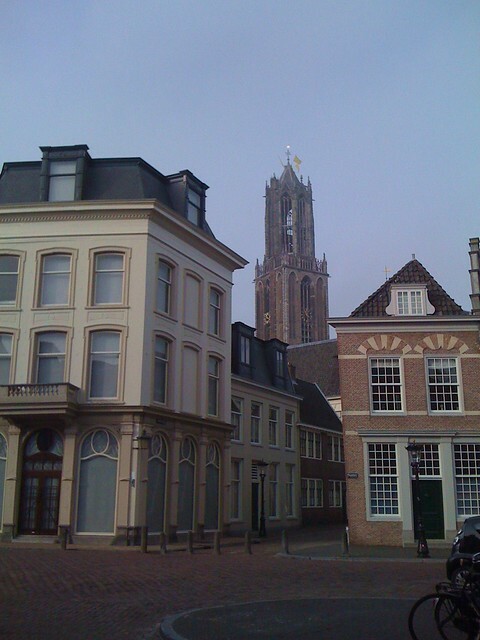 To celebrate, the Domtoren has been festooned with yellow flags (in reference to the yellow jersey of the Tour de France). You can’t see the yellow flags that clearly in my photo, but I kind of dig the way the whole photo looks vaguely flat like an old-fashioned painted backdrop or stage set. It’s not the first time we’ve had a bicycle race come through town. The Giro d’Italia passed through in 2010, but this will perhaps be a bit bigger, particularly as we’re the starting point. I wonder if they’ll ride on the Maliebaan, site of the first official bicycle path here in the Netherlands. 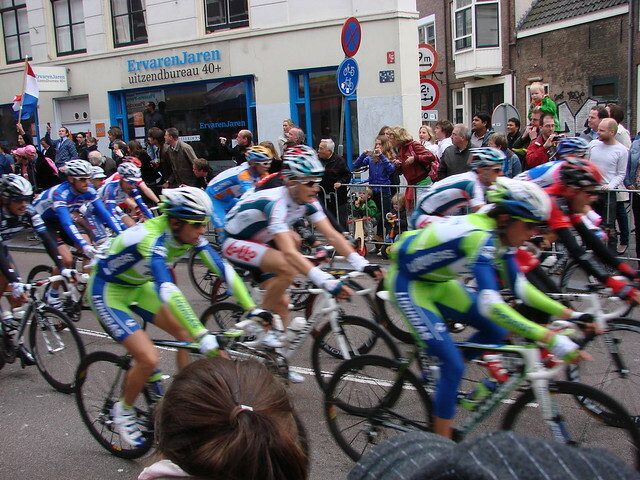 This entry was posted in bikes, domtoren, news, photos, sports and tagged 2015 Tour de France in Utrecht, bicycle race, bicycle sports, bicycles, domtoren, fietsen, geel, photography, sports, yellow by Alison. Bookmark the permalink. Wow. That’s cool. I’m guessing Utrecht is going to get veryyyyy busy in 2015.